This will make a great leaving, retired or birthday gift for anyone associated with the Police Service. This would make the perfect gift for anyone working in the Police Force and very unique! It is crafted from solid rosewood with gold plated metal. 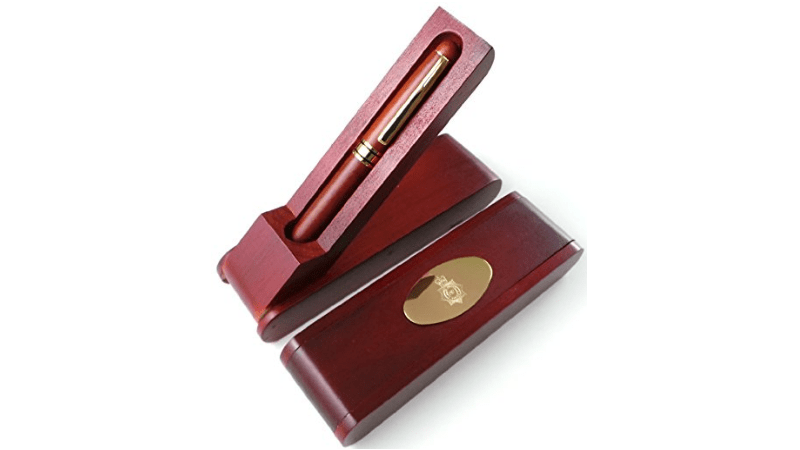 The Pen (black ink) is located inside the luxury case and when opened can also be used as a desk stand. The outer case has a British Police Emblem Design carved into the gold plate. 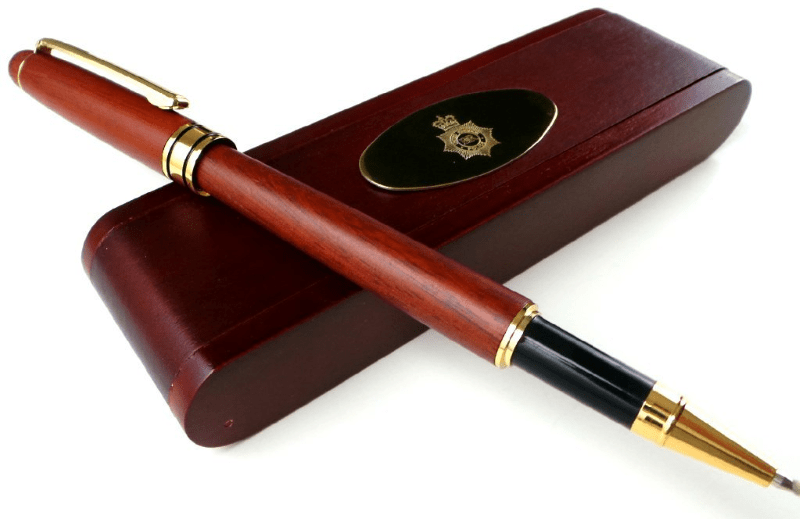 Each set comes with one pen and one wooden gold plated case. If you are looking for a special gift for someone within the Police Service then we would definitely recommend this set as it is something they will treasure.